internet exposure for free that they couldn't otherwise afford. 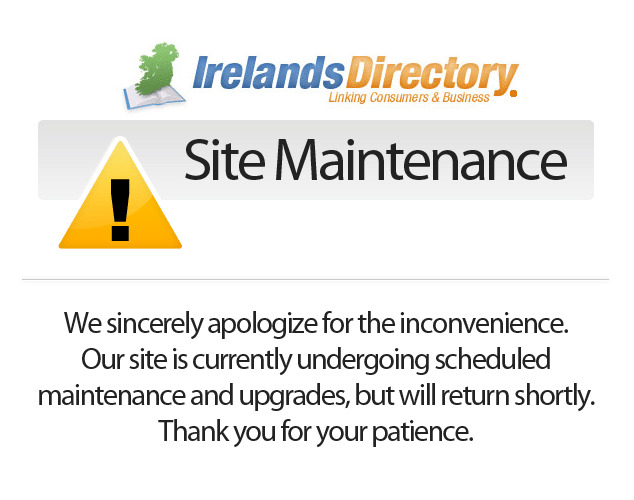 Irelands Directory introduces a new feature (launching in September 2010) which will increase sales to our 105,000 business partners and help cash strapped individuals to find genuine bargains and save lots of euros during this recession. All businesses on our site can now enter money saving recession offers for the 180,000 people visiting our site monthly. This new feature is not a product price list. We want businesses to select one or more products or services and give a genuine discount of at least 10%. Businesses are asked to enter the normal and offer price and our software will work out the percent discount from these prices. All offer listings will be sorted by percent discount with the ones offering the highest percent discount appearing at the top of the list, giving them the biggest opportunity to sell more. In order to ascertain the quality of the offers we will allow registered visitors to our site the capability of rating the offers out of 5 and also add reviews about the services offered by businesses. Recession offers that are genuine will get a good rating and this rating will appear everywhere the offer appears. Reviews are a very important tool and are used by potential customers to help them have confidence in choosing a business they might not have dealt with before. If someone wishes to purchase an item or service in the recession offers they can either email their request to the business by clicking on the email symbol or we can setup a Paypal account to receive online payments after which the business gets an email for the items to be dispatched. In this case a Buy symbol appears instead of the email symbol. Existing and new Platinum Listings can enter up to 20 Recession Offers free. Existing businesses with a Platinum Listings can contact us at and we will supply you with your access code for entering and editing your offers. Existing and new Value Listings can enter up to 10 Recession Offers free. Existing businesses with a Value Listings can contact us at and we will supply you with your access code for entering and editing your offers. Existing and new Basic Listings can enter one Recession Offer free. Three offers can be entered for €10. Existing businesses with a Basic Plus Listings can contact us at and we will supply you with your access code for entering and editing your offers.